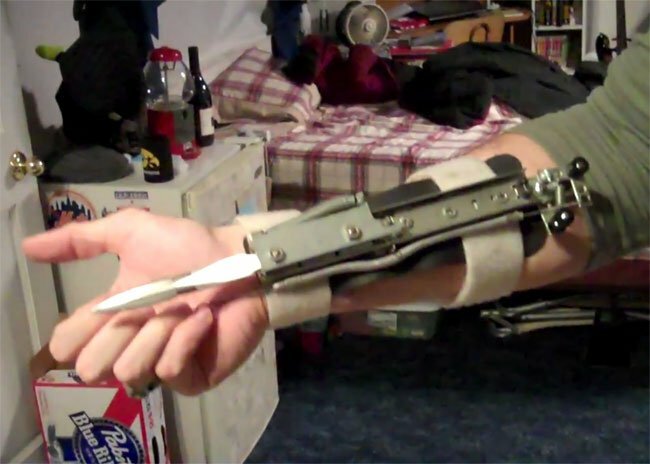 YouTube user and Assassins Creed fan Angelegend has published a video showing his DIY Assassins Creed arm blade. Which has been crested using a sliding drawer bracket together with a couple of special modifications which allow the blade to lock into place once it’s been revealed. The formidable looking device is a little complex to make says maker Angelegend. But if you’re not afraid to get messy and make some mistakes, he does provided full instructions on how to make your very own. Watch the video after the jump to see the DIY arm blade in action. “This is an arm blade I fashioned after the arm-blade seen in “Assassin’s Creed.” It’s a bit complex, but if you’re not afraid to get messy and make some mistakes then check the link below for detailed build instructions. Be safe and have fun.